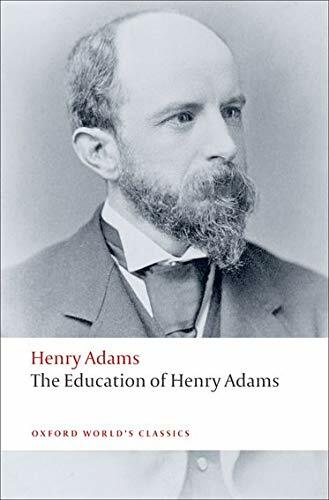 As a journalist, historian and novelist born into a family that included two past presidents of the United States, Henry Adams was constantly focused on the American experiment. An immediate bestseller awarded the Pulitzer Prize in 1919, his The Education of Henry Adams (1918) recounts his own and the country's education from 1838, the year of his birth, to 1905, incorporating the Civil War, capitalist expansion and the growth of the United States as a world power. Exploring America as both a success and a failure, contradiction was the very impetus that compelled Adams to write the Education, in which he was also able to voice his deep scepticism about mankind's power to control the direction of history. Written with immense wit and irony, reassembling the past while glimpsing the future, Adams's vision expresses what Henry James declared the `complex fate' to be an American, and remains one of the most compelling works of American autobiography today. Ira Nadel is Professor of English at the University of British Columbia.